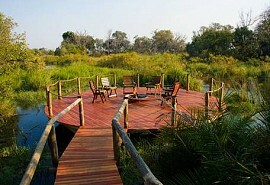 Jacana Camp is situated on a magnificent island inside the Jao Concession on the border of the Moremi Game Reserve. 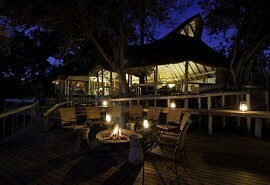 The Jao Concession consists of 60,000 hectares of unspoilt African bush. 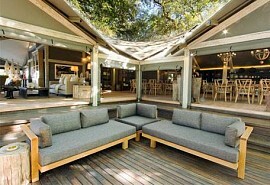 The emphasis at Jacana Camp is on water activities and offers guests a true water wilderness experience. 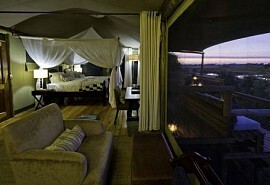 This is a typical Delta camp, with five en-suite Meru-style tents, including a family tent, built on raised wooden decks to facilitate its panoramic views of the Okavango Delta. The main dining area is on an elevated platform between two magnificent sycamore fig trees and surrounded by dense wild date palms. 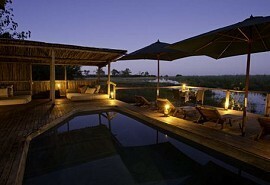 Jacana Camp also has a cosy lounge with an area for an open fire under the stars; and a plunge pool for cooling off in the midday sun. Located in the the Jao private concession consist of 60 000 hectares situated in the very heart of the Delta. 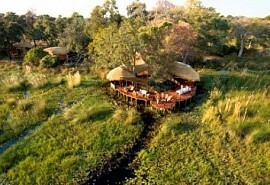 A true water camp with beautiful lush palm islands, begging to be explored. 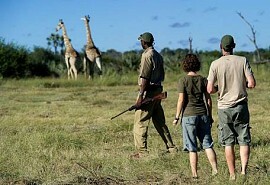 Experienced, trained and accredited guides. The Jao Concession consists of 60 000 hectares of prime wilderness. The central region of the concession offers some of the most spectacular scenery in the area, consisting of idyllic islands and riverine forests. 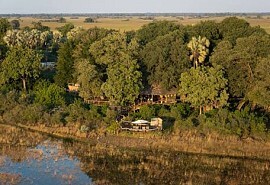 The camp is situated in the most densely populated wetland area for Sitatunga antelope and Red Lechwe. Hippos and crocodiles are regularly seen. During the dry season lechwe, tsessebe, elephant, wildebeest and zebra can be seen here, and lions, cheetah and leopard are often seen on the floodplains. The area offers prolific birdlife and includes Wattled Cranes, Pel's Fishing Owls, both species of Jacanas as well as other seldom sighted species such as Rails, Crakes and Moorhens.